Easily spread cold butter on bread, muffins, anything. 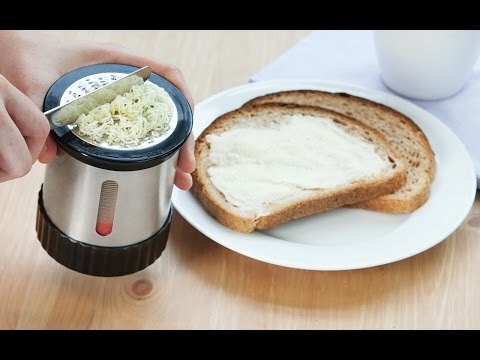 With a few turns of the wrist, the Butter Mill grates cold butter into thin ribbons that soften almost instantly and spread effortlessly. Butter stays inside the container for simple storage, ongoing freshness, and freedom from breadcrumbs. Dimensions: 3.25" diameter x 4"
I use the butter mill to garnish vegetables and it works great. Very well made and takes up little space in the refrigerator. Now I don’t have to leave the butter out. 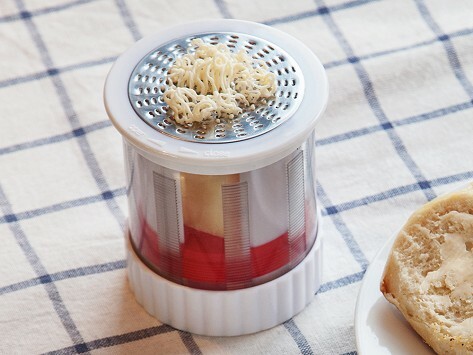 With these handy kitchen helpers, your butter and beverages become even easier to enjoy.